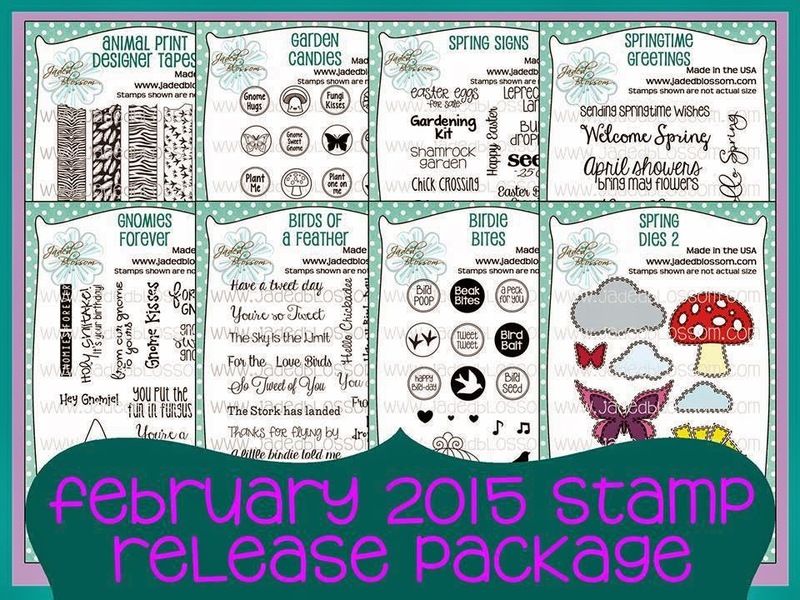 Welcome to Jaded Blossom's February 2015 Release Blog Hop. Now if you're here from Crystal you're in the right place, if you're just passing through start at the beginning because you don't wanna miss anything. I also have the complete line up at the bottom. For my hop project I decided to make a cookie box! This new box is from SVG Cutting Files! 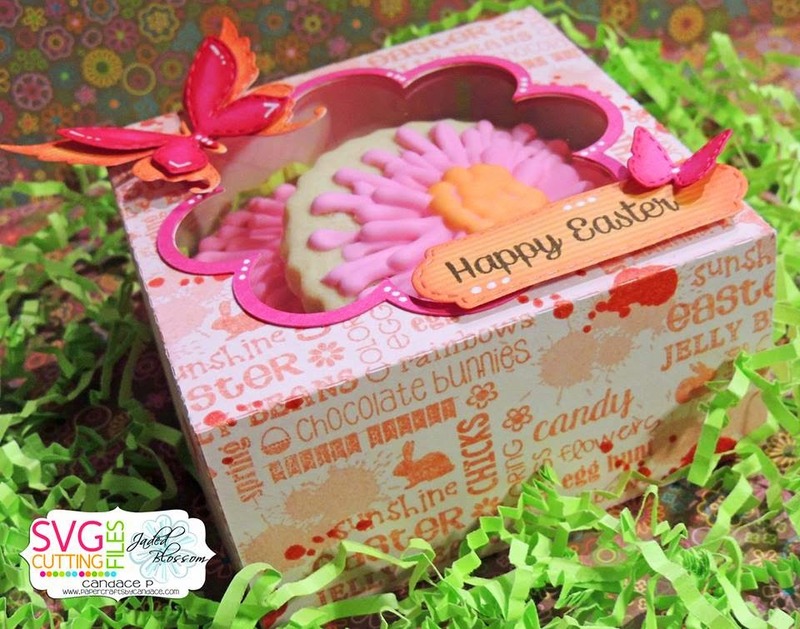 Before putting the box together I used Jaded Blossom's new Easter Splatter to give the box a design. 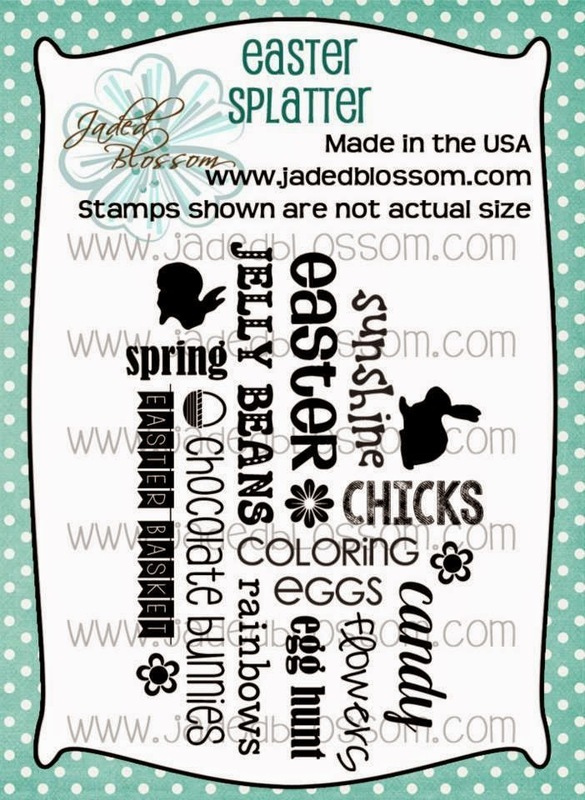 Easter Splatter stamp set is this release's free stamp set (free with purchases $40 or more, before tax and shipping). Then I used paint splatters over the top to help fill in some of the gaps. 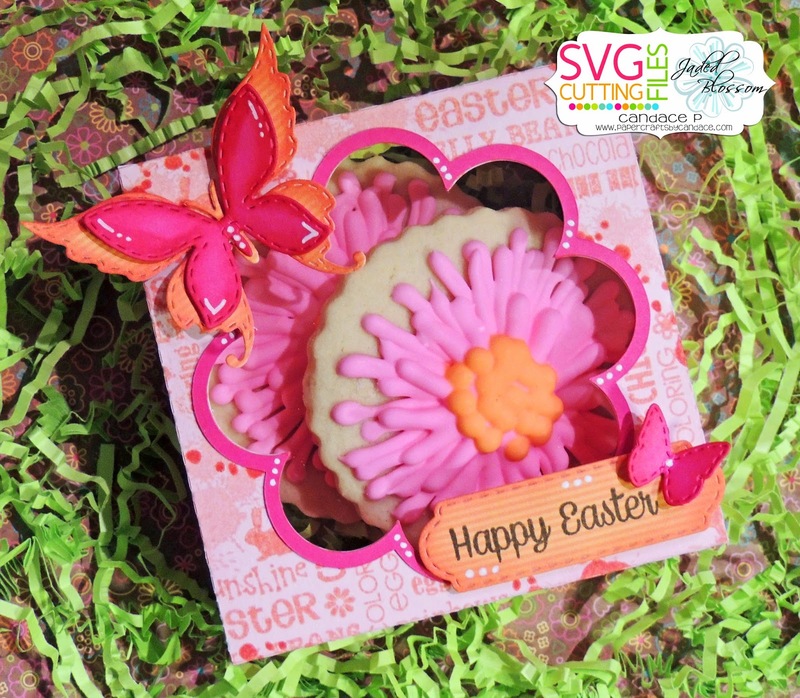 I also used the new Spring Dies 2, Mini Tag Dies 2 and Happy Easter is off of the new Spring Signs. I glued acetate paper to the bottom of my lid so you can see through the box to see the cookies. And here are the cookies I made! 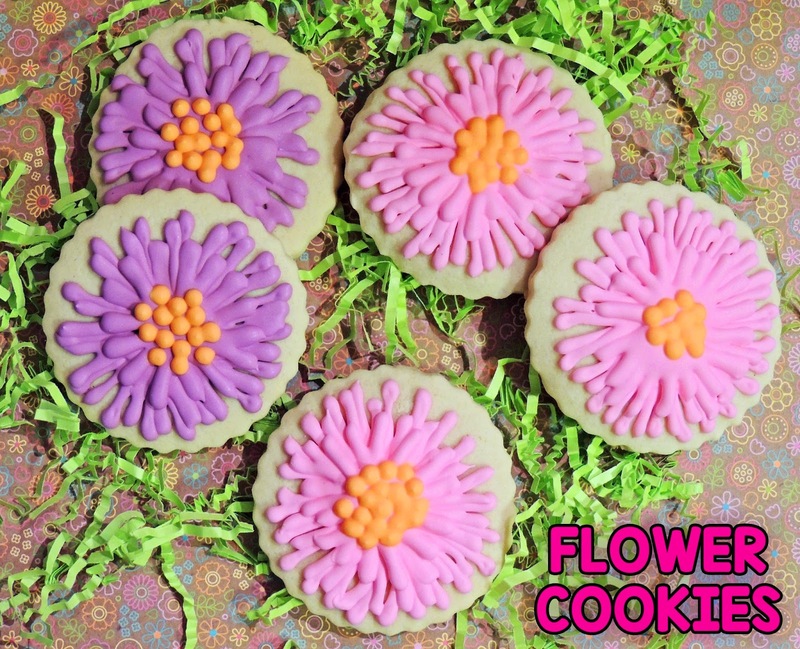 Some fun flower cookies are perfect for birthdays, spring or easter! 2 Lucky Winners will each receive a set of the new Gable Boxes! Your at the end! So the next top for you is the Jaded Blossom Store! I love this darling little box. The little butterly die cuts were the perfect touch. UGH!! Why do you live so far north of me!! I love your cookie posts so much, oh shoot I love all your posts where baking has been taking place!!! 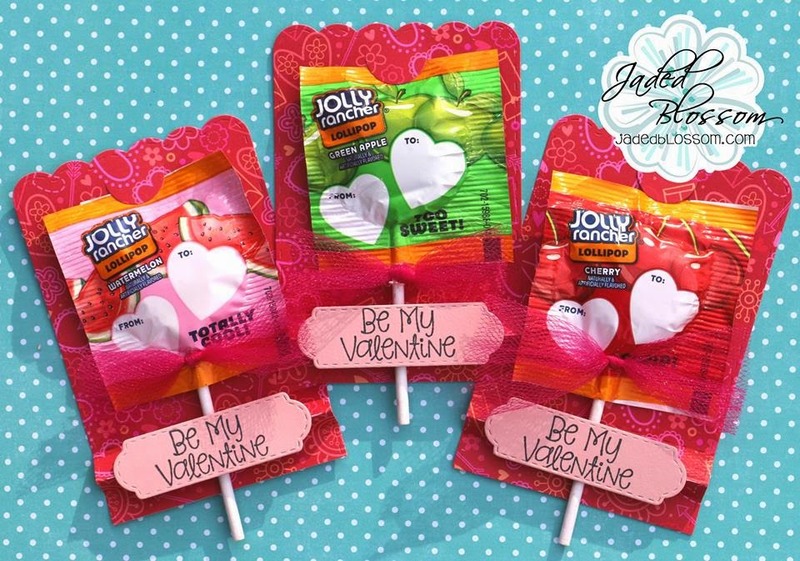 Perfect box, colors, stamps, cookies.. People would pay big money for something like this in a specialty store!!! as always thank you for sharing and making me want to bust my diet yet again!! Omg aren't you just fancy! I love how you use the paint splater to fill the gaps. And yes the cookies are perfect too!!! Awesome projects all week!! Love this and and the colors!!! First of all, how do you not weigh 200 lbs. with all the AMAZING cookies you make! I seriously drooled a little LOL! That box is GORGEOUS! The pink and orange butterfly is amazing! SO SO CUTE!!! Such a cute cookie box. This cookie holder is so cute! Such a pretty cookie box and gorgeous cookies. Great project. 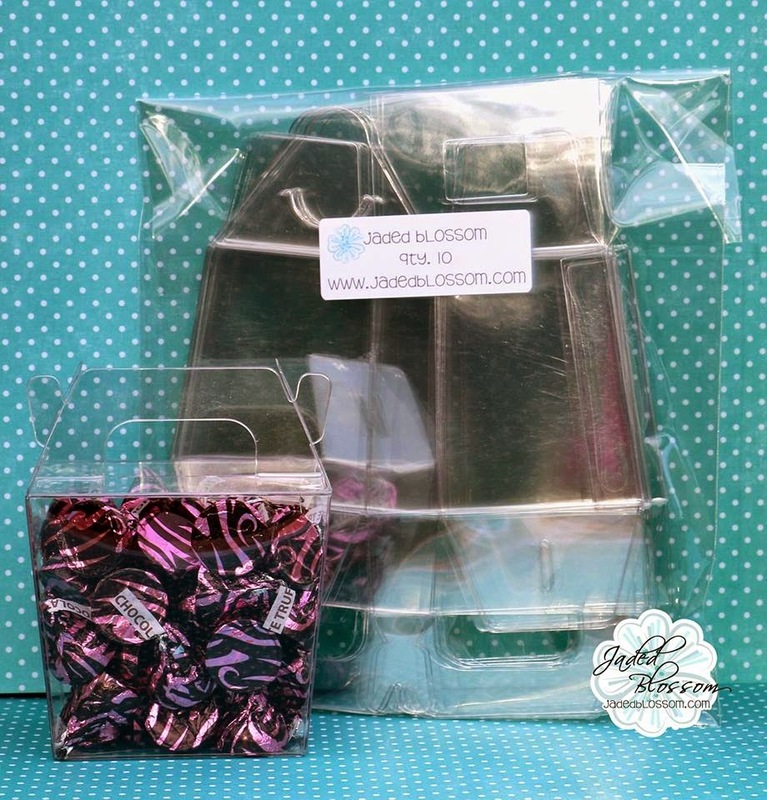 Very nice box for cookies or other small objects. Love the Cookie Boxes! So Cute! The cookies are just as beautiful as the box! Wow! What a gorgeous treat box! Those cookies are beautiful! Love the box! Love the cookies! The paint splatter is seriously on my need to have list - you have such fun ideas!! GIRL! You are totally missing your baker owner calling!!! THese are SOOOOOO beautiful!!! Great job!!!! ok yum and beautiful too!!! Love this box but I really LOVE the cookies!! Look so yummy! This is the cutest cookie box! the cookies are beautiful! Such a beautiful box! The butterflies are gorgeous!! !Awesome job as always!! loved everything on the hop!!! I love it all, even the cookies. 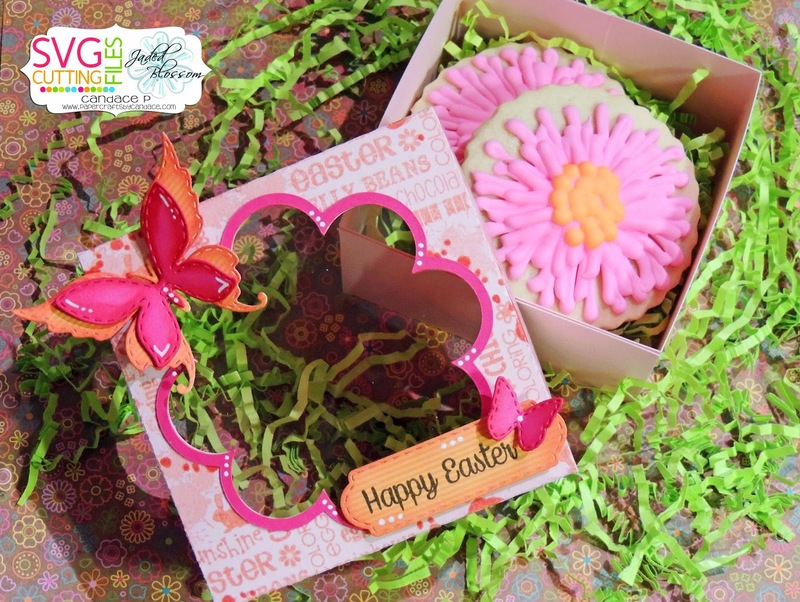 Perfect box for these yummy flower cookies. So cute!! The box is awesome! Those cookies in the box are such an impressive gift! So pretty of course ! Love the box you stamped and of course the cookies were YUMMY thanks for bringing me some !!! Wow....look at these fancy cookies~So yummy! I love the box you created for them. The papers are so pretty and love the sweet little butterflies! Awesome project! Happy Easter: SVG Cutting Files Challenge!